What exactly is The Black Codex? The Black Codex is a musical series made by Christiaan Bruin. Its concept is a unique one: Subscribers receive, by email, a newly composed and recorded piece of music every week, together with illustrated lyrics, drawings, and other bonus features. There will be weekly episodes during the course of 1 year, so 52. Yes, the story of The Black Codex is written by me (Christiaan). It's 4 euro each month, so each episode is 1 euro. Can I share the episodes with others? If you'd want to there's no way of stopping you, so you could. But I'd rather see you not sharing it, and instead advice anybody who's interest to become a member. Will there be a physical release of the episodes? Perhaps, but so far nothing is certain. Who are the musicians playing on the recordings? It's mostly me, but there are some guest musicians as well. See 'Subscribe' in the top menu. What if you can't make the deadline? I have a buffer of a couple of weeks, to make sure there will be a new episode ready each week. What if I didn't receive an episode on my email account? Just send an email to info@theblackcodex.com and we'll sort it out. 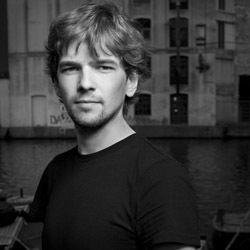 Christiaan Bruin is a young dutch composer, multi-instrumentalist and producer. Since 2009 has released five albums with his solo-project CHRIS. He is also a founding member of the progressive rock band SKY ARCHITECT, which has recorded three albums since 2010. Furthermore he is a member of the avant-garde metal band ADEIA, the progressive rock band NINE STONES CLOSE and the cinematic pop orchestra MAYRA ORCHESTRA.